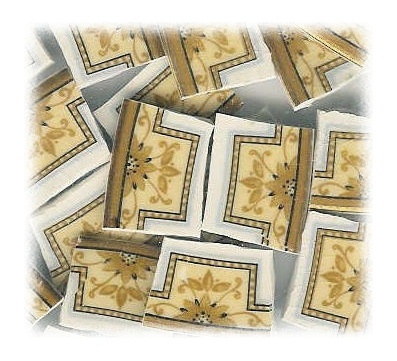 20 tiles from Grindley china plates. Gold flower, black & gold & yellow accents, gold rim on off-white china. All rim tiles. No discoloration, VERY slight crazing, lay flat. Pink rose & floral swag with yellow edge tile sold separately.